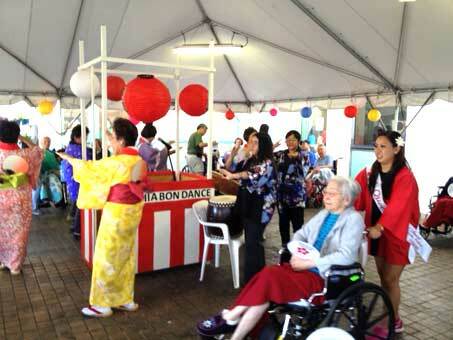 Honolulu, Hawaii — The 2013 Hawaii Cherry Blossom Festival Court assisted Maluhia’s nursing home residents celebrate the annual Bon Dance event on Saturday, August 24, 2013. The Court helped to wheel chair the residents around the bon dance circle while encouraging them to sing as well as making dance motions with their hands. 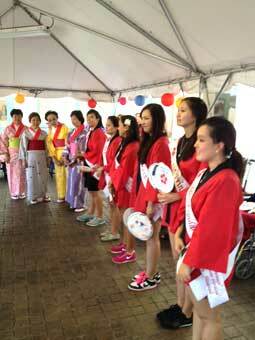 The bon dance also included activities such as Okinawan food tasting and shaved ice eating.